Join senior leaders and decision-makers from companies in the Middle East, Central and South Asia, and North Africa. ISOA is a global partnership of private sector, non-profit, and non-governmental organizations providing critical services in fragile environments worldwide. 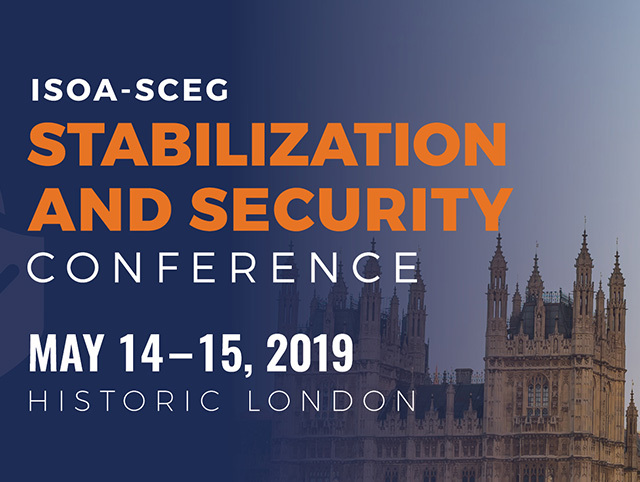 This Industry Conference will bring together these professionals with representatives from government and academia to discuss the future of defense, reconstruction, and development efforts in the Middle East, North Africa, and Central/South Asia. For more information on being a sponsor and/or an Industry Fair participant, please contact the ISOA President and Executive Director, Howie Lind, at howielind@stability-operations.org. Click the link below to reserve your accommodations with our group rate.